Here are recent books of interest to the foreign aff airs community that were not written by members of the Foreign Service. Nicholas M. Keegan, Anthem Press, 2018, $115/hardcover, $31.01/paperback, $29.99/Kindle, 250 pages. This meticulously researched book draws extensively on archives in the United States and the United Kingdom, and includes many previously unpublished photographs. 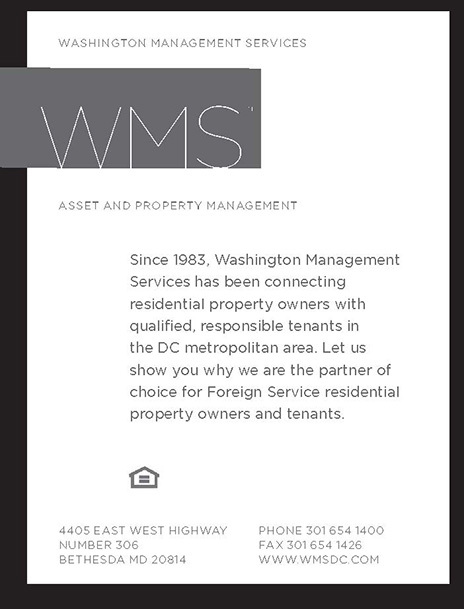 It is in three parts, the first focused on the creation of the State Department, the Consular Service and the Foreign Service. While FSJ readers may be familiar with that history, Nicholas M. Keegan’s treatment offers many less-familiar details. Parts II and III concentrate on the U.S. consulates and the people who have served in them in Britain and pre-independence Ireland. 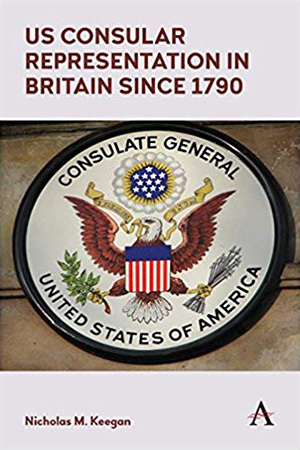 The foreword is by AFSA President Ambassador Barbara Stephenson, who served as the first female deputy chief of mission and chargé d’affaires at Embassy London from 2010 to 2013. Nicholas M. Keegan spent much of his career in the civil service in Edinburgh, mainly in the fields of education, home affairs and criminal justice. He was awarded a Ph.D. in politics from Durham University in 2005. Ronan Farrow, W.W. Norton & Company, 2018, $27.95/hardcover, $14.99/Kindle, 424 pages. Drawing on his experience as an investigative journalist and a former State Department official, Ronan Farrow profiles several recent standard bearers of traditional statecraft, with the greatest focus on the late Richard Holbrooke, as he illuminates one of the most consequential and poorly understood changes in American history: the sidelining of the Foreign Service. Drawing on newly unearthed documents, and richly informed by rare interviews with warlords, whistleblowers and policymakers—including every living former Secretary of State from Henry Kissinger to Rex Tillerson—War on Peace makes a powerful case for an endangered profession. Ronan Farrow is an investigative journalist who writes for The New Yorker and makes documentaries for HBO. See the October FSJ for a review of this book. 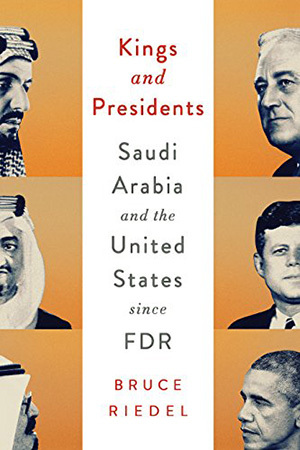 David Abshire and James Kitfield, Rowman & Littlefield, 2018, $45/hardcover, $31.45/Kindle, 220 pages. The late David Abshire, co-founder of the Center for Strategic and International Studies, was an adviser to several presidents. He served as a special counselor to President Ronald Reagan and was the U.S. permanent representative to NATO from 1983 to 1987. 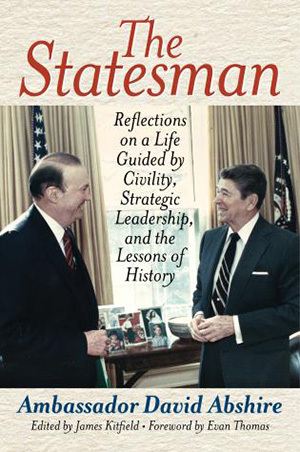 In this extraordinary final love letter to his country, published posthumously, Abshire urges his fellow citizens to reclaim American exceptionalism by reinvigorating a politics of lively, robust debate within a framework of respect and civil behavior—before it is too late. James Kitfield, who edited Abshire’s memoir for publication, is a senior fellow at the Center for the Study of the Presidency and Congress, the author of three books on national security and a member of the Council on Foreign Relations. Bruce Riedel, Brookings Institution Press, 2017, $25.99/hardcover, $13.06/Kindle, 272 pages. A senior adviser on South Asia and the Middle East to the last four presidents of the United States, Bruce Riedel served in the Central Intelligence Agency and at the National Security Council, and is now a senior fellow in the Saban Center for Middle East Policy at the Brookings Institution. John Lewis Gaddis, Penguin Press, 2018, $26/hardcover, $18/paperback, $12.99/Kindle, 384 pages. For almost two decades, Yale students have competed for admission each year to the “Studies in Grand Strategy” seminar taught by John Lewis Gaddis, Paul Kennedy and Charles Hill. Its purpose has been to prepare future leaders for responsibilities they will face, through lessons drawn from history and the classics. Now Gaddis has distilled that teaching into a succinct, sharp and potentially transformational book, surveying statecraft from the ancient Greeks to Franklin D. Roosevelt and beyond. A guide to the art of leadership, On Grand Strategy is, in every way, its own master class. 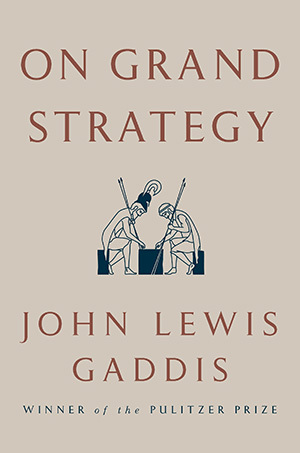 John Lewis Gaddis is the Robert A. Lovett Professor of History at Yale University, and was the founding director of the Brady- Johnson Program in Grand Strategy. The author of many awardwinning books, he received the 2012 Pulitzer Prize in Biography for George F. Kennan: An American Life. 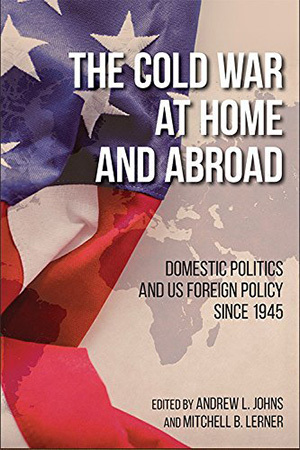 Paul K. MacDonald and Joseph M. Parent, Cornell University Press, 2018, $42.95/hardcover, $31.78/Kindle, 260 pages. In this bold new perspective on United States–China relations, Paul K. Mac- Donald and Joseph M. Parent examine all great power transitions since 1870. 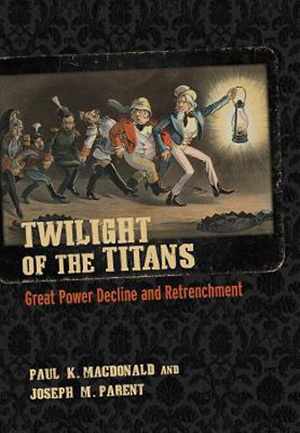 They find that declining and rising powers both have strong incentives to moderate their behavior at moments when the international hierarchy is shifting. Tough talk, intimidation, provocation and preventive war, they write, are not the only alternatives to defeat; retrenchment is the most productive response. Perhaps surprisingly, they find that retrenchment tends not to make declining states tempting prey for others; nor does it promote domestic dysfunction. What it does encourage is resurrection. Only states that retrench have recovered their former position. Paul K. MacDonald is an associate professor of political science at Wellesley College, and Joseph M. Parent is an associate professor of political science at the University of Notre Dame. BBC foreign correspondent Humphrey Hawksley has been reporting on Asia and the Pacific for many years, and has witnessed China’s transformation into one of the world’s most wealthy and militarized countries. 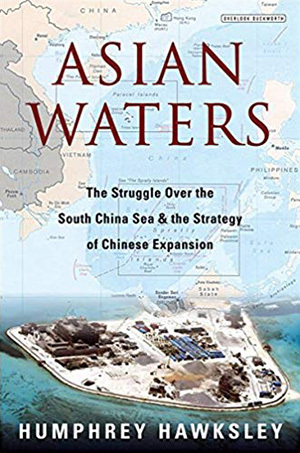 In Asian Waters, he gives readers a compelling narrative of this most volatile region. Can the United States and China handle the changing balance of power peacefully? Do Japan, the Philippines, South Korea and Taiwan share enough common purpose to create a NATO-esque multilateral alliance? Does China think it can even become a superpower without making an enemy of America? If so, how does it plan to achieve it? Humphrey Hawksley is a BBC foreign correspondent whose face and voice are known to millions. 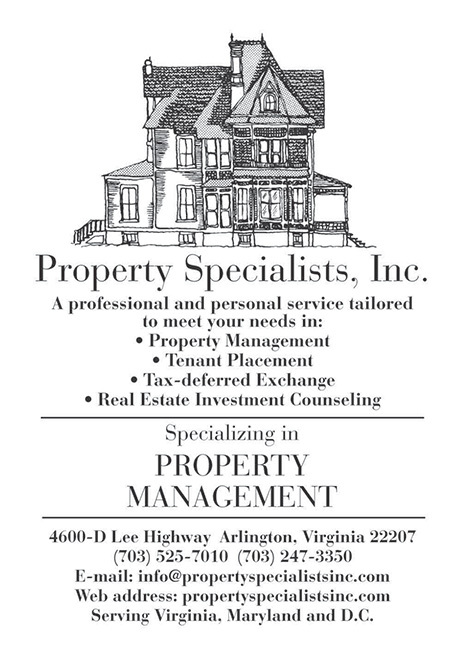 He is the author of numerous books and articles. 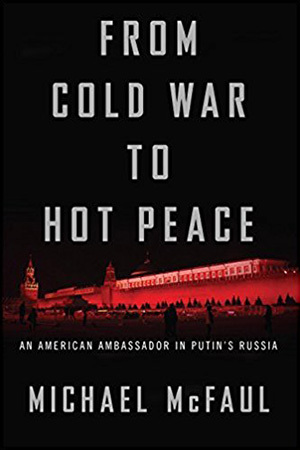 Michael McFaul, Houghton Mifflin Harcourt, 2018, $30/hardcover, $14.99/Kindle, 528 pages. As President Barack Obama’s ambassador to Moscow from 2012 to 2014, Michael McFaul had a front-row seat when hopes for an enduring “reset” to Russian-American relations crumbled with Vladimir Putin’s return to the presidency. The Kremlin actively sought to discredit and undermine McFaul, dispatching protesters to harass him wherever he went, slandering him on state media and tightly surveilling him, his staff and his family. This riveting inside account tells the full story of U.S.-Russia relations from the fall of the Soviet Union to the rise of Russian President Vladimir Putin. Michael McFaul is a professor of political science, director and senior fellow at the Freeman Spogli Institute for International Studies at Stanford University, and a senior fellow at the Hoover Institution. James Kraska and Raul Pedrozo, Naval Institute Press, 2018, $39.95/hardcover, 416 pages. 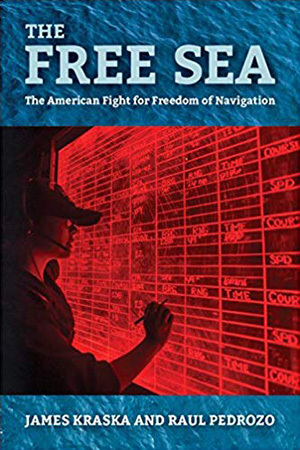 The Free Sea offers a unique, single-volume analysis of incidents that have challenged the United States’ freedom of navigation at sea ever since the Quasi- War with France in 1798. Retired U.S. Navy officers James Kraska and Raul Pedrozo explain how challenges to U.S. warships and maritime commerce have pushed, and continue to challenge, the United States to vindicate its rights through diplomatic, legal and military means, underscoring the need for the strategic resolve to ensure freedom in the global maritime commons. James Kraska is chairman and Howard S. Levie Professor at the U.S. Naval War College Stockton Center for International Law, where Raul Pedrozo is a visiting fellow. Would the World Be Better Without the U.N.? Thomas G. Weiss, Polity Books, 2018, $69.95/hardcover, $24.95/paperback, $15.99/Kindle, 240 pages. 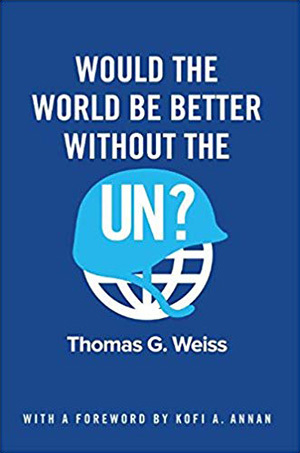 Thomas G. Weiss is Presidential Professor at the City University of New York’s Graduate Center and director emeritus of the Ralph Bunche Institute for International Studies. Julie Chernov Hwang, Cornell University Press, 2018, $39.95/hardcover, $31.16/Kindle, 230 pages. Why do hardline terrorists decide to leave their organizations? This is the burning question to which Julie Chernov Hwang seeks answers in Why Terrorists Quit. 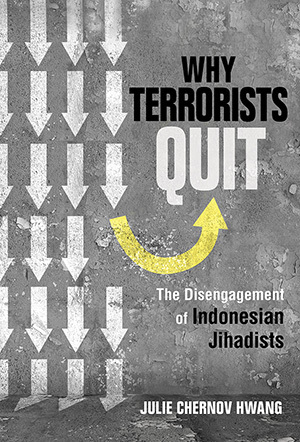 Over the course of six years, she conducted more than 100 interviews with current and former leaders and followers of radical Islamist groups in Indonesia, and evaluates the impact of various public initiatives designed to encourage them to disengage from them. Her findings offer hope that Indonesia’s approach to this pressing challenge can be applied in other societies, as well. 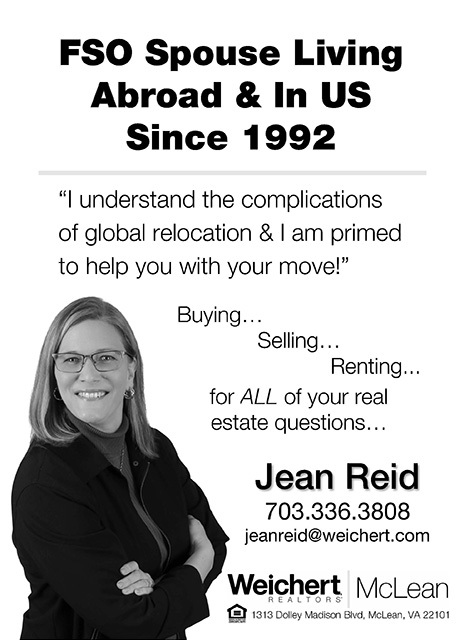 Julie Chernov Hwang is an associate professor of political science and international relations at Goucher College. Her previous book was Peaceful Islamist Mobilization in the Muslim World. Nicholas L. Miller, Cornell University Press, 2018, $47.95/hardcover, $41.63/Kindle, 316 pages. 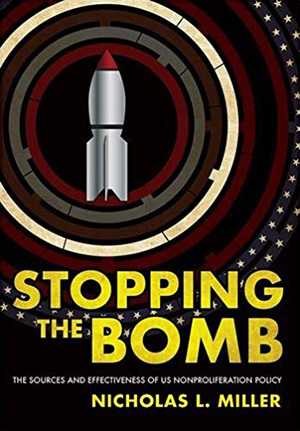 In Stopping the Bomb, Nicholas L. Miller explores the role of the United States in combating the spread of nuclear weapons. He contends that the Chinese and Indian nuclear tests of the 1960s and 1970s, in particular, forced Washington policymakers to focus more assiduously on promoting nonproliferation. Four in-depth case studies of U.S. nonproliferation policy— toward Taiwan, Pakistan, Iran and France—illustrate how the United States can compel countries to reverse ongoing nuclear weapons programs. Miller’s findings highlight the relatively rapid move from a permissive approach toward allies who are acquiring nuclear weapons, to a more universal nonproliferation policy. Nicholas L. Miller is an assistant professor of government at Dartmouth College. Abbas Amanat, Yale University Press, 2017, $40/hardcover, $19.99/Kindle, 992 pages. 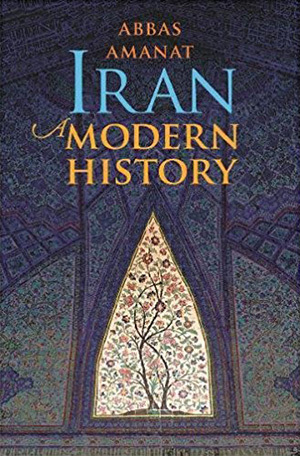 In this expansive history spanning half a millennium, Abbas Amanat explores Iran’s fascinating past up to the modern day and aims to offer, in the author’s words, “an alternative to the black-and-white narratives of the past.” Covering revolutions, dynastic succession and everyday life, Amanat shows that in addition to the dictates of geography, economy and culture, the forces of modernity have exposed Iran to unusually complex experiences. From the heyday of Western imperialism when the country retained a strong degree of autonomy to the disruptive Constitutional Revolution at the turn of the 20th century and the birth of the Islamic Republic, Iran’s history is marked by moments of intense upheaval and international competition. Abbas Amanat is professor of history and international studies at Yale University and director of the Yale Program in Iranian Studies at the MacMillan Center for International and Area Studies. Lawrence S. Kaplan, University Press of Kentucky, 2018, $80/hardcover, $79.99/Kindle, 230 pages. Harold Stassen, a former governor of Minnesota, became President Dwight D. Eisenhower’s special assistant for disarmament. In many ways, as Lawrence S. Kaplan explains in this nuanced biography, Stassen was his own worst enemy in that role. His ambition and ego undermined his efforts and clouded his vision, and his feuds with Secretary of State John Foster Dulles were legendary. 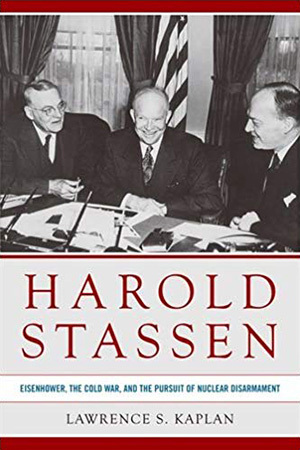 Yet while Dulles often prevailed in the meeting room, Stassen’s vision of nuclear restraint was one that Eisenhower shared, and his views became embedded in Cold War policy for decades. Lawrence S. Kaplan is emeritus director of the Lyman L. Lemnitzer Center for NATO and European Studies at Kent State University and a former professorial lecturer in history at Georgetown University. He is the author or editor of more than two dozen books. Paul J. Heer, Cornell University Press, 2018, 37.95/hardcover, $23.99/Kindle, 320 pages. George F. Kennan is famous for articulating the strategic concept of containment, which became the centerpiece of the Truman Doctrine. 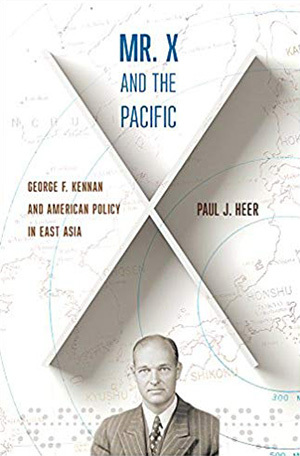 In Mr. X and the Pacific, Paul J. Heer explores Kennan’s equally important, but more obscure, impact on East Asia. 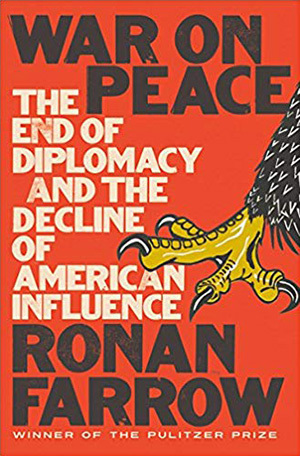 After assessing Kennan’s time as director of the State Department’s Policy Planning Staff from 1947 to 1950, Heer traces his evolution from a hawkish Cold Warrior to a prominent critic of the Vietnam War. He concludes by setting forth the ways in which Kennan’s legacy has implications for how the United States approaches the region now. Paul J. Heer is an adjunct professor in the Elliott School of International Affairs at The George Washington University. He is a veteran analyst of East Asia and spent three decades within the U.S. intelligence community. Louise I. Shelley, Princeton University Press, 2018, $29.95/hardcover, $28.45/Kindle, 376 pages. 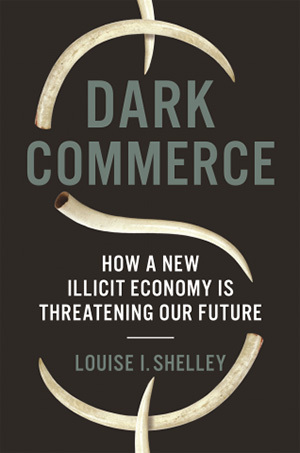 Over the past three decades, the most advanced forms of illicit trade, inextricably linked to computers and social media, have broken with all historical precedents. Louise Shelley explains how this world functions, and how it exacerbates many of the world’s destabilizing phenomena: the perpetuation of conflicts, the proliferation of arms and weapons of mass destruction, and environmental degradation and extinction. She contends that illicit trade is a business the global community cannot afford to ignore and must work together to address. The Omer L. and Nancy Hirst Professor of Public Policy and University Professor at George Mason University’s Schar School of Policy and Government, Louise I. Shelley is also the founder and director of its Terrorism, Transnational Crime and Corruption Center. She is the author of several books, and her article, “Illicit Trade and Our Global Response,” appeared in the October FSJ. She lives in Washington, D.C.
James W. Pardew, University Press of Kentucky, 2017, $39.95/hardcover, $24.99/Kindle, 424 pages. 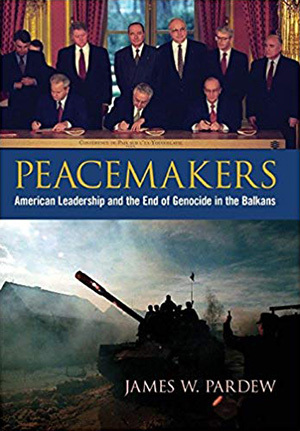 Peacemakers is the first comprehensive history of the successful multilateral intervention in the Balkans between 1995 and 2008 by an official directly involved throughout the period in the diplomatic and military responses to the crises. James W. Pardew recounts how Richard Holbrooke and the U.S. envoys who followed him helped to stop or prevent vicious wars in Bosnia, Croatia, Kosovo and Macedonia. He reminds us that American leadership and multilateral cooperation are often critical to resolving international crises. 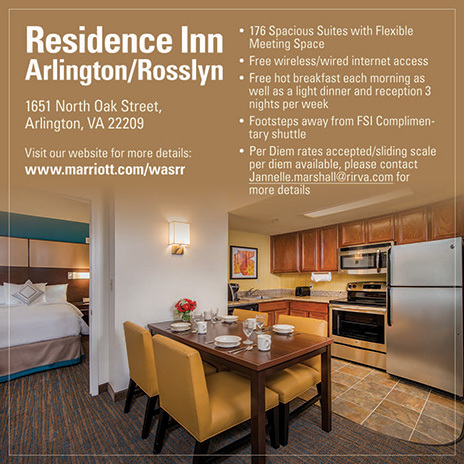 Ambassador (ret.) James W. Pardew was the primary U.S. negotiator of the Ohrid Agreement in Macedonia. A former ambassador to Bulgaria, he also led Balkan task forces for the secretaries of Defense and State, and served as a policy adviser at NATO. 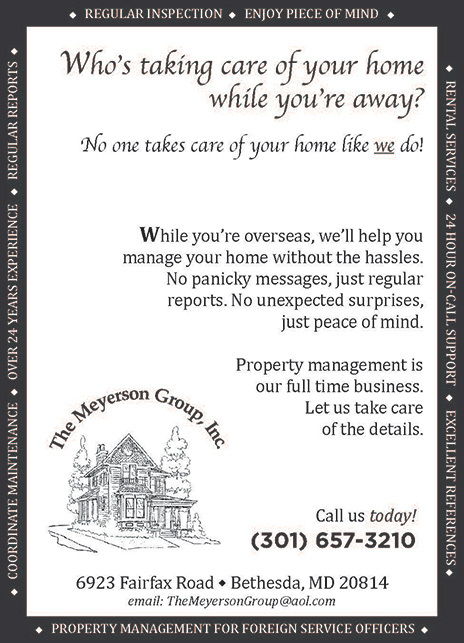 Prior to his diplomatic service, he spent 27 years in the U.S. Army as an intelligence officer. See the September FSJ for a review of this book. Benn Steil, Simon & Schuster, 2018, $35/hardcover, $16.99/Kindle, 621 pages. As Vladimir Putin’s Russia rattles the world order, this history provides critical context into understanding today’s international landscape. 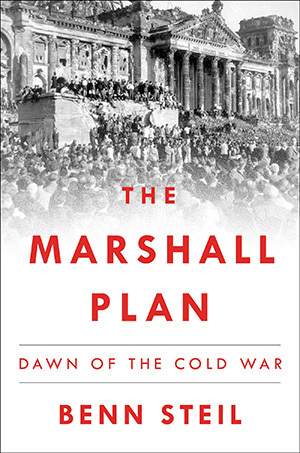 With fascinating new material from American, Russian, German and other European archives, Benn Steil’s account will forever change how we see the Marshall Plan and the birth of the Cold War. Benn Steil is a senior fellow and director of international economics at the Council on Foreign Relations. His previous book, The Battle of Bretton Woods: John Maynard Keynes, Harry Dexter White and the Making of a New World Order, was called “a triumph of economic and diplomatic history” by the Financial Times, “a superb history” by The Wall Street Journal, and “the gold standard on its subject” by The New York Times. Neil Degrasse Tyson and Avis Lang, W. W. Norton & Company, 2018, $30/ hardcover, $14.87/Kindle, 576 pages. Scientists and soldiers both seek to understand the space domain. 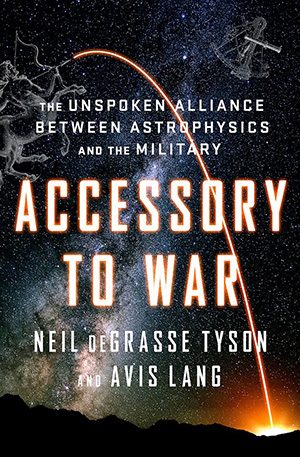 Th is common curiosity has given rise to a close relationship that authors Neil Degrasse Tyson and Avis Lang explore across centuries—from the days of Galileo and the first telescope, to the Cold War-era “Star Wars” Strategic Defense Initiative, to the latest international agreements attempting to ban weapons in space. Neil deGrasse Tyson is an astrophysicist with the American Museum of Natural History, director of its Hayden Planetarium and the author of Astrophysics for People in a Hurry. Avis Lang is a research associate at the American Museum of Natural History’s Hayden Planetarium. Andrew L. Johns and Mitchell B. Lerner, editors; University Press of Kentucky, 2018, $60/hardcover, $48/Kindle, 330 pages. This diplomatic history collection brings together 11 essays that examine factors ranging from elections and congressional influence to the role of religion and regionalism, and trace the influence of those issues on the history of U.S. foreign relations since 1945. (Editors Andrew L. Johns and Mitchell B. Lerner frame the discussion with introductory and closing chapters.) In the process, the contributors expand our understanding of the history of U.S. foreign policy. Andrew L. Johns is an associate professor of history at Brigham Young University and the David M. Kennedy Center for International Studies. Mitchell B. Lerner is an associate professor of history at Ohio State University.